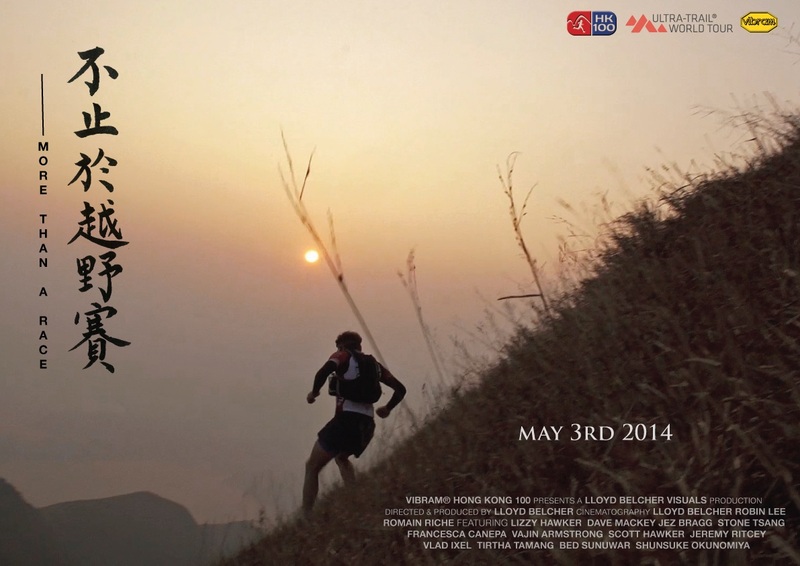 Yesterday I was very fortunate to have an exclusive first viewing of More Than a Race, the documentary that captures the recently run Vibram HK100 2014, which is also the first leg of the Ultra Trail World Tour. I’ve never done a film review before and it’s also a first for Ultra168, but the opportunity to see this first-up and review it exclusively was too good to pass. So here goes with our thoughts on both the film and also the story it tells. Like many races around the world, including our own TNF100 here in Australia, the Vibram HK100 started out from very humble beginnings with just 250 entrants in its first year. It has since grown to a field of 1,600 with over 500 people on a wait list. It some ways, the race is a fortunate ‘victim’ of the success of the trail running explosion over the last five years and was in the right place at the right time. But it has also created its own success with a superb course and great location. The film begins with a striking look at the juxtaposition that affords Hong Kong as told through some of the elite athletes. Jez Bragg, Lizzy Hawker, Jeremy Ritcey, Francesca Canepa and Dave Mackey to name few all muse over the skyscrapers that dominate Hong Kong Island, yet sit perfectly with the beauty of the trails that rise above it. Having personally visited Hong Kong on a number of occasions I can also attest to how unique the landscape is. Within minutes of being in the hustle and bustle of the city, you can be up in the clouds and running on single-track trails high in the hills overlooking the offices and the ‘suits’ that walk the streets below. Hong Kong really is a stunning place to visit, a kind of crazy East meets West, but it all works so well. Lloyd a British born, Hong Kong resident captures this beautifully and as I said to him over him, you can see his fabric etched in the film throughout. I spent some time with Lloyd a few months ago in Hong Kong and was lucky to have him show me around the city for a few hours. His heart is sewn to this city and you can tell how much he loves it through his production of this film. For the most part, the film documents the journey of the lead runners in the race. What comes across for me is not only the personable nature of these guys (which is very genuine having interviewed a number of them before), but the rawness and honesty with which it is all presented – this is the story. For the most part, ultra running is a form of minimalism – traveling great distances with very little in the way of sustenance along the way. This theme is etched and darned into Lloyd’s production. He’s not afraid of silence in this film, leaving the simple act of motion of the lead runners to do the talking. What also comes across strongly is the modesty with which the race carries itself, along with an overriding feeling of hard work and determination. When you’re detailing and documenting a 100km race, it’s very hard to leave viewers on the edge of their seats as would say a 100m sprint race, where the difference between first and last is less than a second – blink and you’ll miss it. Blink in ultra running and you won’t have missed much! Instead runners are minutes, sometimes hours behind those in front so you have to rely on other elements to captivate an audience. Lloyd does this through the stunning backdrops of Hong Kong, but also the humility of the runners featured in the film. What really made me smile was the guys and gals that finished on the podium. The mens race was won by Nepalese runner, Tirtha Bahadur Tamang with his compatriot Bed Bahadur Sunuwar finishing second. The theme of honesty and hard work really shines through as the camera zooms in on the final few kilometers of their race, Nepalese flags flying high above their arms and the fruits of their labour evident in their results. Special mention must also go to Vlad Ixel, one of our Aussie runners, unsponsored and supporting himself running throughout Asia for a superb third place against a high quality field. It goes to show the strength of running across Asia that these guys beat some very handy European and US runners. Running in Asia has strength in-depth right now and this race goes a long way to prove this. If anything, this film is a great advert for what Hong Kong is all about. Rugged beauty, honesty, hard work along with serene yet raw backdrops. Steve and Janet, the organisers of this race have done a cracking job, in a similar vein to Tom and Alina (TNF100) and Paul Charteris (Vibram Tarawera 100). 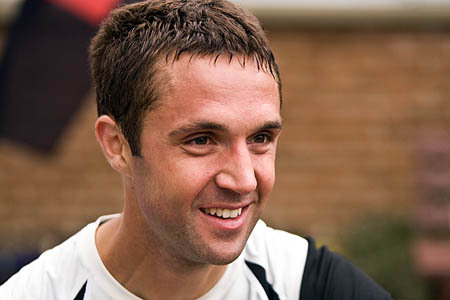 Starting with humble and modest beginnings through to running internationally recognised races that attract some of the world’s best ultra runners. If you’re thinking about going to Hong Kong to race, this film will confirm your plane ticket. Lloyd has poured his heart and soul into producing this wonderful film and the beauty is that it’s free to watch. To see the video, hit the link below, or the official website here.